A business card is sometimes the first and only impression you get to make. Your business cards reflect your business, its attitude, and a level of professionalism. Order your business cards online today! Postcards are a cost-effective marketing tool that will get your brand or organization the exposure you are looking for. 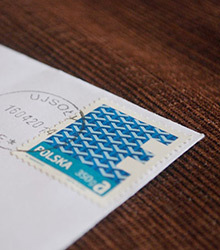 Our online store lets you conveniently design and order your own custom postcards any time! Leave a lasting impression by marketing your business with mini magnets! 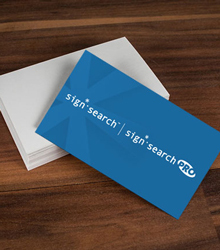 Make your standard business card a little more useful and give your brand continued visibility. Design your own mini magnet in our online store! Newsletters are a cost-effective marketing tool used for bringing customers up to speed with the latest news. Impress clients with a newsletter spotlighting upcoming projects or innovative ventures. 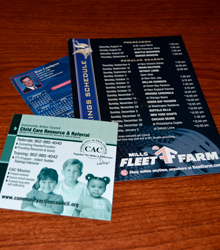 Rack cards are a fantastic way to get in front of customers. The look of your stationery is a very important business statement. Door hangers are a sure-fire way to get in front of customers! 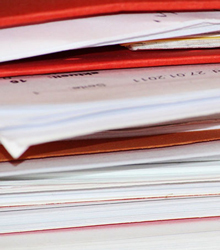 Your letterhead is the focus of your businesses stationery.